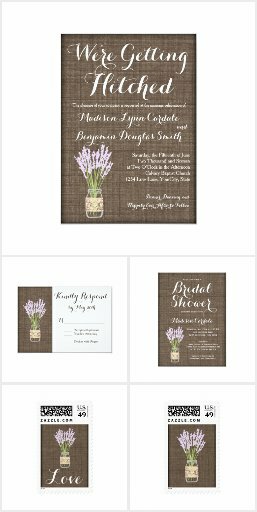 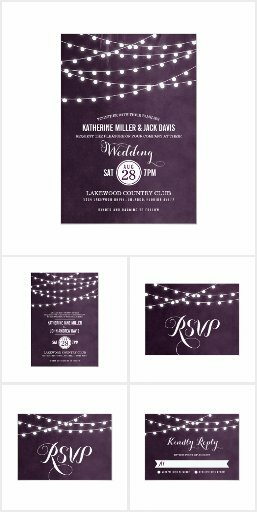 Mix and match coordinating items from these rustic purple wedding invitation sets. 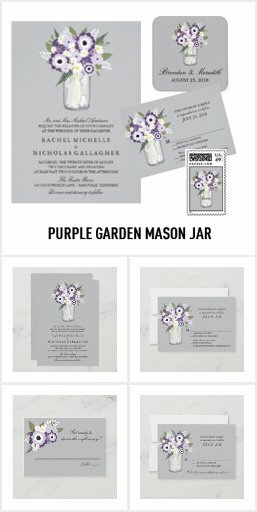 The sets contain numerous wedding announcement pieces such as invitations, rsvp cards, save the date postcards and magnets, bridal shower invitations, personalized return address labels and postage stamps, matching wedding ceremony programs, thank you cards, reception napkins, and more. 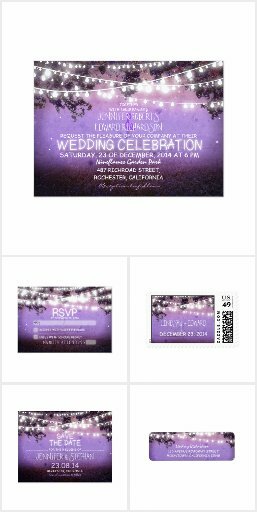 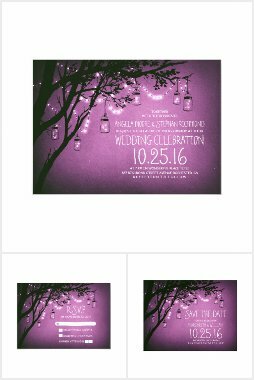 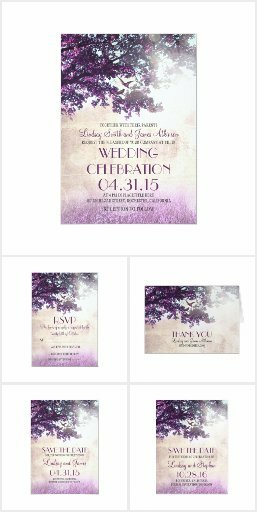 When you order 100 or more invitations the invite price is discounted 40% OFF.